By Jessica Wohl . Published on July 17, 2017. It's a bright, modern space with the trappings of an agency: glass-walled conference rooms, shelves lined with art, and design publications and past work on display. There's a social media listening room, the requisite video and photo editing bays. In the production studio, a photographer leans into her shot, making sure it's just so, getting the lighting just right on today's model: a gleaming porcelain sink. There's also a couch made from a bathtub. This is the agency within Kohler Co., the company known for plumbing fixtures made and marketed with "The Bold Look of Kohler." Tucked away in bucolic Kohler, Wisc., the shop has been luring talent over the past few years from Publicis, GSD&M and other agencies to leave behind the city-life grind for a population that hovers around 2,100, excluding the deer and wild turkeys. 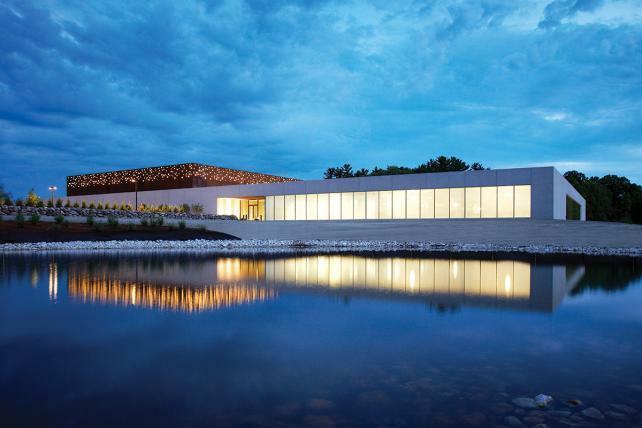 A newer addition to 144-year-old Kohler is a sleek, Gensler-designed building called The Beacon, opened in 2012. The modern space, a sharp contrast from the company's turn-of-the-20th-century factories a short drive away, is where more than 150 people handle nearly all marketing functions for the privately held company, which according to Forbes has annual revenue of $6 billion. Despite its rural, Midwestern roots the Kohler brand has earned a place in popular culture, and its ad team smartly leverages that. 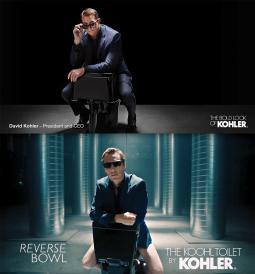 Last November a "Saturday Night Live" skit spoofed Kohler with an ad for a "Koohl" black toilet on which one sits backwards. The commode was made even cooler because the sunglasses-wearing person dropping trou to cop a squat was host Benedict Cumberbatch. Kohler, which sells toilets ranging from basic models priced below $250 to a $7,500 "intelligent" one with a heated seat, foot warmer and touch-screen remote, was quick to respond. That Monday, CEO David Kohler shot a response photo at The Beacon's 33,000-square-foot studio—sitting on a black Kohler toilet in a nearly identical outfit. "KOOHL. Since 1873," read the caption. Instead of hours or even days of planning with an external set designer, photographer, digital agency, social agency and others, the project was done in-house. It was posted on Facebook, Twitter and elsewhere. Brandwatch recorded more than 1,900 mentions of the "Koohl" toilet with more than 14.9 million extended impressions, according to Kohler. Its response reached more than 831,000 people on Facebook alone. Such responsiveness is one reason why Kohler, which once relied heavily on creative agencies including GSD&M, Arnold New York and DDB Chicago, has gone in-house. "We're actually moving at a faster pace than happens in some other types of agency/client relationships," said Melissa Gordon-Ring, group account director at PhD, which handles media for Kohler, noting that her Chicago-based team can bring ideas to market quicker than at some other clients where there are various partners to work with. "It feels more streamlined." 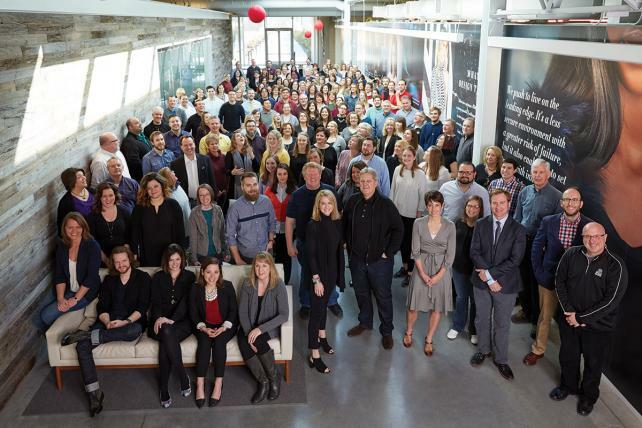 Kohler's unlikely transformation into a creative mecca began when Elizabeth Brady was recruited four years ago from Publicis New York, where she was Executive VP-general manager. Brady, who'd never considered working outside the agency world, left her SoHo apartment for a home in Wisconsin and traded her subway commute for a car. 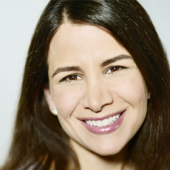 She became senior VP-global brand after Natalie Black Kohler, then chief legal counsel (also the wife of then-CEO Herbert Kohler Jr.), searched for someone to add agency insights to the communications team that expanded during her tenure. "It definitely was not something that I had my mind set on, to go client-side," Brady said as she sat at a table in her glass-walled office. "I wouldn't even call this client-side. 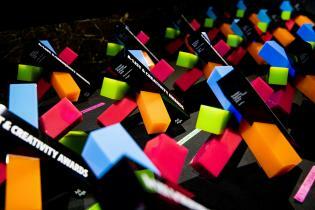 It really is an agency that has 33 brands that we work on. They just happen to be all brands owned by Kohler Co."
While "The Bold Look of Kohler" has been used in company ads for 50 years, a phrase that's commonly heard in The Beacon is "gracious living." Products such as upscale Ann Sacks designer tile, Robern vanities and sconces, Kohler chocolates and chocolate brandy, and golf courses link easily to the phrase. And Brady's team finds ways to connect any company division, even power generators, gasoline and diesel engines, and battery monitoring for businesses, back to that Kohler standard. David Crawford, who joined as VP-executive creative director in early 2016, had worked on Kohler for years at GSD&M in Austin, on memorable ads including "Race," in which a woman and man rush home while removing their clothing in order to be first to use the Kohler shower. "I had a lot of fun on Kohler," Crawford said—until the account went to Arnold in 2012. For him, part of the appeal of joining Kohler went beyond the mainstay kitchen and bath fixtures. 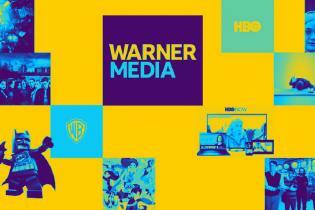 "It already has a roster of brands that any other agency would kill to have," he said. "I don't miss losing business," Crawford said of his agency days, which began at McKinney in North Carolina, followed by 25 years with GSD&M. "I do like focusing on the brands without a lot of interruption from the pressures of agencies sometimes." PepsiCo are among the major companies tackling some work in-house that would typically be sent to creative agencies of record. Often, outsiders can't tell what's done in-house from what's handled by heavyweight agencies, though occasional projects—Pepsi's ill-fated Kendall Jenner ad comes to mind—suggest adding more muscle to the work might be the better way for some marketers to go. Kohler's marketing and communications teams used to be spread among a handful of different buildings, in some cases a couple of miles apart. An old warehouse served as a photo studio. With The Beacon, all of the work is housed in the same building: conference rooms, the studio and even storage were designed to the team's specifications. 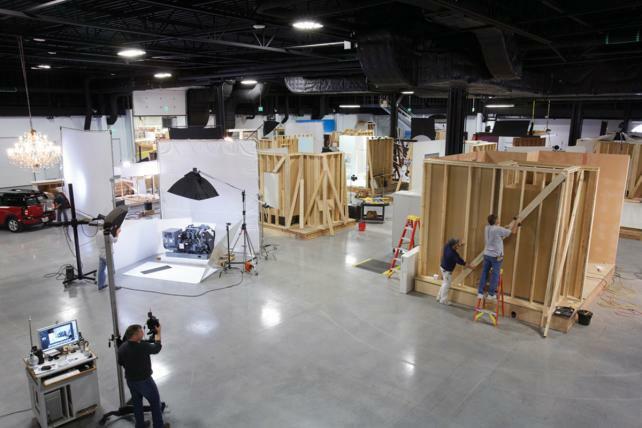 It handles about 85% to 90% of Kohler's shoots each year, and nearly all retouching is done on site. Photography shot here runs online, in magazines, in brochures and elsewhere. Videos have been used for digital content. "It's an agency," said Brady. "It feels, looks, has all the elements of an agency." While privately held Kohler doesn't release sales figures, the company's ad work is getting noticed: This spring, it received a bronze Obie for a billboard to promote Kohler as a vacation destination. Even before Kohler moved to an in-house model, the company found ways to promote its products across divisions. Kohler has living showrooms in its hotels. The bathrooms at The American Club in Kohler, where rooms typically run above $300 per night, feature Kohler soaking tubs, rain-style showers and sinks. Instead of generic framed art, a guest might see a historic Kohler print ad hanging on the bathroom wall. Toiletries bear the brand of the Kohler Waters Spa, which opened in 2000 and includes an eight-foot waterfall feature in the relaxation pool. The American Club tells a brand story of its own. It was built in 1918 across the street from a Kohler factory as a place where its workers could live until they saved enough money for homes of their own. For $27.50 a month, each man got a room, board and some laundry service. It shut down in 1978 and reopened as a hotel in 1981. The area where the workers' laundry used to be done was transformed into The Immigrant, a jacket-required restaurant. The Beacon allows Kohler's marketers to work near the company's operations. Jamie Van Dixhorn, director-communications for the Kitchen and Bath group, said she has access to information and people she never felt she truly had on the agency side. "The best non-disclosure agreements in the world still hold some level of confidentiality," said Van Dixhorn, who spent nearly 13 years at Leo Burnett before leaving Chicago to join Kohler in 2013. When her division rolls out a new product, such as a digital shower system, she'll go straight to the industrial designer or engineer who worked on it to get a sense of their inspiration. "Was it a building, was it something in nature, was it an experience that they had?" she said she'll ask. This helps her team craft the right messaging, which might push someone to buy a $199 showerhead with a wireless speaker rather than one of several models in the $30-$40 range. 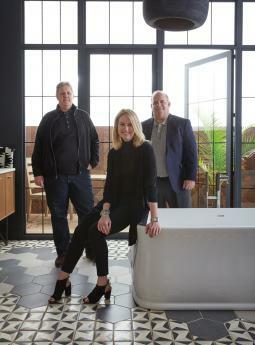 Kohler has expanded its ranks in areas including social media, web design and strategic and consumer insights. These days, roughly 50% of the overall team has some agency or other outside experience. Each sector now has its own brand manager and brand team. Casey Flanagan, director of brand strategy and consumer insights, joined Kohler in September 2013 from Laughlin Constable in Milwaukee. He said he considers "it a luxury to work brand-side because you can dig in and understand things in a way that I wouldn't say isn't possible from an agency side, but I would say is far easier brand-side," said Flanagan, who commutes to Kohler from the Milwaukee area, roughly an hour away. "You can grab coffee with the person who designed the faucet or a beer with the person who is launching the new engine or whatever it might be. To me it feels like there's very few walls." Camm Rowland moved to Kohler in April, in the new position of creative director-design, after years on the creative team at Digital Kitchen in Chicago. But last year Kohler also established a "creative hub" in the Windy City, about two hours from Kohler, for those who aren't willing to move. A live feed from one office to the other also provides a sense of connection.